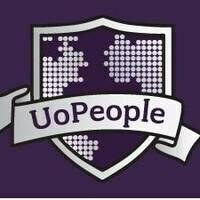 University of the People has had the privilege of working with ASAL Technologies for 4 years! We have partnered to create a technology center in Ramallah, West Bank, building upon and enhancing the technology infrastructure of University of the People. We could not have achieved our great and continuing technological development without the help and hard work of ASAL Technologies. ASAL Technologies has helped the University repurpose Microsoft’s CRM (Customer Relationship Management) application to become the primary platform for its Student Relationship Management system (SRM), which has grown to become the cornerstone of the institution’s administrative operations. With the help of ASAL Technologies, we are able to continually upgrade the system, with new SRM features and capabilities, allowing the University to support new processes and automate existing manual ones. Partnering with ASAL Technologies helps us in our mission to advance educational and economic opportunity – and, in doing so, help develop the path to peace around the world.